Esther Ofarim (*13 June 1941, Safed, Israel). Esther Ofarim (Hebrew: אסתר עופרים‎, born Esther Zaied) had been a chart-topping female vocalist. She met Abi Ofarim, a guitarist and dancer, in 1959 and subsequently married him. They began to sing Hebrew and international folk songs. In 1963 Esther made the second place at the Eurovision Song Contest, representing Switzerland. In 1968 the Ofarims had their international breakthrough with "Cinderella Rockefella". They divorced in 1970, and Esther eventually started a solo career. Roy Harper (*12 June 1941, Manchester, UK). The English rock and folk singer-songwriter and guitarist is known for his distinctive fingerstyle playing and lengthy, complex compositions. His influence has been acknowledged by many musicians. In 1970, rock band Led Zeppelin paid tribute to Harper with their version of the traditional song, "Shake 'Em On Down". Retitled "Hats Off to (Roy) Harper", it appeared on the album "Led Zeppelin III." According to Jimmy Page, the band admired the way Harper stood by his principles and did not sell out to commercial pressures. Recently Roy Harper contributed a recital of Carroll's "Jabberwocky" for The Wildlife Album, a compilation CD to benefit the World Wide Fund For Nature and the Ulster Wildlife Trust. Martin Carthy (*21 May 1941, Hatfield, Hertfordshire, UK). Topic Records celebrates Martin's 70th birthday with a Best Of release, featuring 34 tracks from almost five decades on 2 CDs. Since the early 1960s the English folk singer and guitar player is one of the most important figures in British traditional music, who inspired and influenced songwriters Bob Dylan and Paul Simon as well as guitarists Richard Thompson and Martin Simpson. Drawn to the folk scene by the likes of Lonnie Donegan, Ewan MacColl and Bert Lloyd, Martin Carthy developed a percussive picking style for accompanying traditional songs, inspired by the quite different styles of guitarists such as Davy Graham, Elizabeth Cotten and Big Bill Broonzy. His first recordings took place in 1963, e.g. as part of Leon Rosselson's The Three City Four. In 1965, Martin Carthy began his association with fiddler Dave Swarbrick, and he was twice a member of the seminal folk rock group Steeleye Span. Between 1975 and 1993 he sang with the reformed Watersons, which developed into Waterson:Carthy with his wife Norma Waterson and their daughter Eliza Carthy. He also performs with the Brass Monkey ensemble, the Blue Murder choir and recently with The Imagined Village project. In 1998, Martin Carthy was appointed an MBE in the Queen's Birthday Honours. He also won several BBC Radio 2 Folk Awards. "Both Ears and the Tail"
Dave Swarbrick (*5 April 1941, New Malden, UK). One of the most highly regarded musicians of the British folk revival, Dave Swarbrick joined Fairport Convention in 1969, excited by the possibilities of performing traditional music in a rock context. Swarbrick guided the band through a series of albums until its disbandment in 1979. Since then he has played in a series of smaller outfits, including duos with guitarists such as Martin Carthy, Kevin Dempsey and Alistair Hulett. In 1999, the Daily Telegraph published a premature obituary after he was admitted to hospital. In 2004, he received a double lung transplant and has since enjoyed a new lease of life. His latest solo album "Raison d'être" has been released in July 2010. Johnny (Ringo) McDonagh (*30 March 1951, Galway, Ireland). 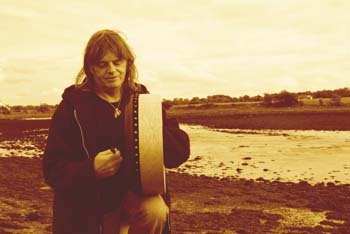 McDonagh has been playing the bodhrán, the Irish frame drum, since 1967. 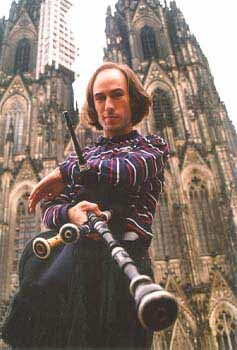 He played with De Dannan and Arcady and is credited with introducing the rim shot technique (striking the rim), brush-ended beaters and the idea for the tunable bodhrán. Much in demand as an accompanist, Ringo McDonagh recorded not only with traditional Irish groups such as Altan and soloists as Mary Bergin and Eileen Ivers but also with Phil Lynott and Mike Oldfield. McDonagh is pointing out that he has returned to a more traditional style close to the music after a long journey through other styles. Ishbel MacAskill (1941-2011). The well-known Gaelic singer has died at her home in Inverness on 30 March 2011. Ishbel hailed from the Island of Lewis and was brought up with the rich heritage of traditional Gaelic music. It was not until 1979 that she sang in public. Over the following decades, MacAskill established herself as one of the foremost interpreter of Gaelic song, performing throughout Scotland and abroad. Her willingness to embrace other musical styles made her a natural choice for the BBC Scotland TV programme Transatlantic Sessions. Young Gaelic singer Julie Fowlis acknowledged MacAskill's influence: "She had a rich, distinctive voice, a great sense of fun and personality in droves. Coupled with her effortless charm and stage presence, she captivated audiences all over the world." Jack Hardy (1947-2011). John Studebaker "Jack" Hardy was the author of hundreds of songs, and toured tirelessly for almost forty years. He was also the founding editor of Fast Folk Musical Magazine. Jack Hardy was strongly identified with New York's Greenwich Village folk music scene. Beginning in the mid-1970s, Hardy hosted Monday-night songwriter's circles and pasta dinners at his apartment. The hundreds of songwriters who frequented Hardy's apartment gatherings over the years included Suzanne Vega, John Gorka and Lucy Kaplansky, Richard Julian, Rod MacDonald, and Christine Lavin. Jack Hardy passed away on March 11, 2011, after a short battle with cancer. Bluegrass fans around the world will soon be able to learn fiddle, banjo, mandolin, bass, and guitar online directly from some of the biggest names in bluegrass music with the launch of the new Academy of Bluegrass. The ArtistWorks Academy of Bluegrass consists of: The School of Banjo with Tony Trischka, School of Guitar with Bryan Sutton, School of Fiddle with Darol Anger, School of Bass with Missy Raines and School of Mandolin with Mike Marshall. Each school contains hundreds of high quality beginner, intermediate and advanced video lessons. Every student has the opportunity to send their teacher a recorded video of themselves practicing and receive a personal video response with individualized instruction from the teacher. This year's Lorient Interceltic Festival takes place from August 4th to 15th. The theme of this year's festival is "Diasporas", focusing on all of the Celtic migrations that have resulted in the rich and varied nature of the Celtic culture as it is today. Some of the highlights of this year's festival include: TEXAS, THE CHIEFTAINS, THE WATERBOYS, LUZ CASAL and many more... The festival also includes "The Gates of Annam" (Les portes de l'Annam), a musical creation fusing Breton and Vietnamese culture, history and music. Last year the festival celebrated its 40th birthday. Over 800,000 festivalgoers visited Lorient over the ten days of the festival which saw over 4,500 artists from all over the world performing to delighted and enthusiastic crowds. In the summer of 1937 a Gipsy group performing flamenco under the stage name JUANITA & HER DANCING GITANOS performed all over the south of The United States. Muddy Waters as a young man saw this group and wrote one of his most famous songs: Gipsy Woman. Robert Johnson saw the group perform in Pickersville, Mississippi and fell in love with Juanita - and she fell in love with the handsome blues guitar player. Even though their conversation was limited to the few words of Spanish Robert Johnson knew from listening to Julio Iglesias: te amo and un whiskey por favor, things took their natural cause, Juanita became pregnant and a boy was born. In honour of his father she named him Roberto Juan. Roberto grew up in the Mississippi Delta, picked cotton before he decided to go back to the land of his mother - to Spain. He took his guitar along, started work as a field hand. Kept performing some of the songs of his father: singing lyrics in a strange mixture of English and Spanish: I met el diabolo en the crossroads; dulce pueblo - mi chicago; soy un hombre rollando. One of the most famous songs of the Mississipp blues: "my woman left me - all she left me was my mule to ride", he turned into "no tiengo mujer - solo tiengo mulo". Legendary blues impressario Rolf Schubert met Roberto Juan upon one his journeys into the Andalucian mountains, bought him a new set of teeth, and persuaded him to come to Germany to perform for the first time in his life before a larger audience. As Roberto Juan with his 73 years now - is afraid to travel by plane or car - he decided to ride his mule to Germany. He will start his journey today and is expected to arrive at the end of this year. Bookings are already accepted now. Roberto is very camera shy and allowed only a picture of his mule to be taken.